On February 7, at 16:50 an emergency call was received to “911” service that a car was burning in front of the court of Sevan town, Gegharkunik province. 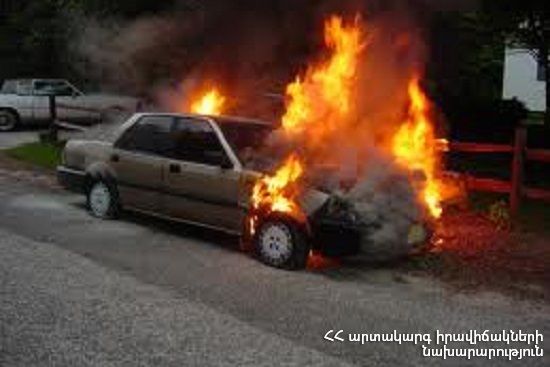 It turned out that “Volkswagen Jetta” car was burning in Abovyan street. The fire was isolated at 16:55 and extinguished at 17:01. The front part of the engine of the car partly burnt.